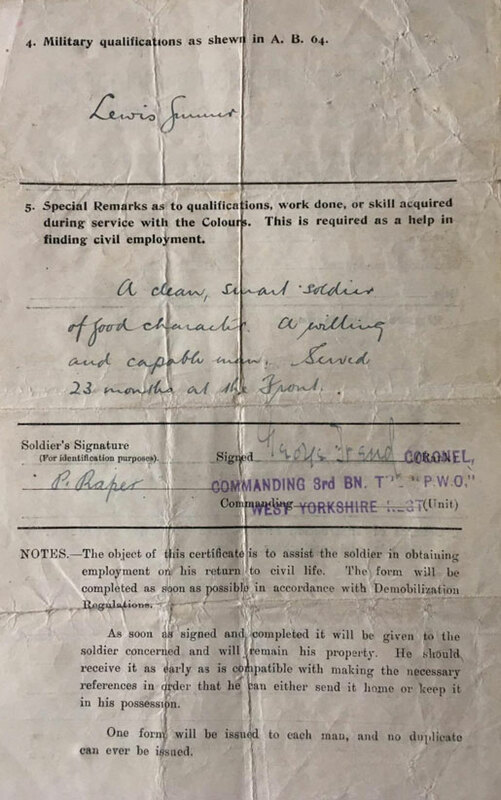 L Cpl 63221 3rd West Yorkshire Regiment. Percival Raper was born in Yarm on 28th April 1896. His parents were John Thomas Raper a Groom at a livery stable also born in Yarm and Caroline Mary Raper (nee Stanger) from Worsall. They lived in West Street with their other son John Thomas born two years earlier. By 1911 Percival was 14 and a gardeners apprentice living with his parents in Church Wynd. His elder brother had moved out and in the house was younger brother Wilfred (aged 10), Hilda (aged 8) and Gladys (aged 4) all at school. Three children had died, which was not unusal for working class families of the time. 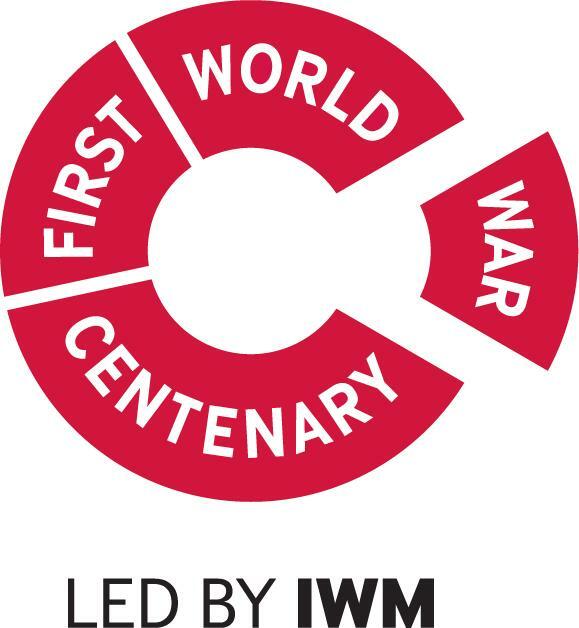 Percival would be 17 when war broke out.The 10th Bn of the Yorkshire Regiment (Green Howards) was raised at Richmond in September 1914 and Percival must have lied about his age. They spent a year training and embarked for Boulogne, landing on 10th September 1915. 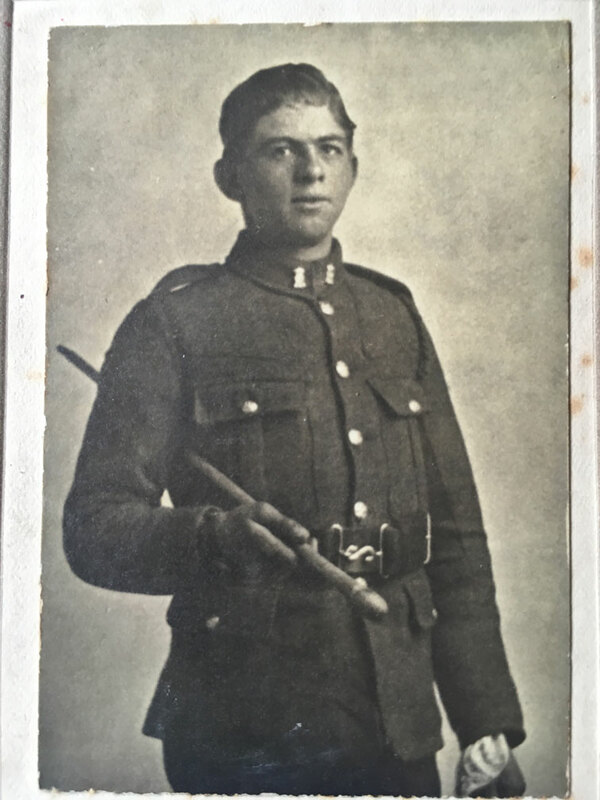 Percival's family indicated that he was a Lewis Gunner and was injured at least twice which they think may account for his service in multiple units. 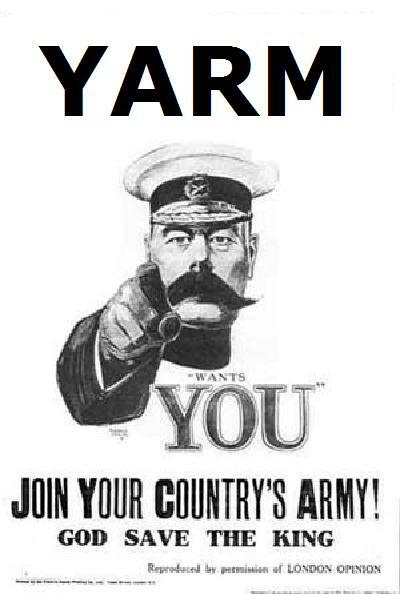 He was wounded on 19th February 1917 and on returning to active service joined the West Yorkshire Regiment. As far as the family can tell he served until September 1918 when he received gas related injuries. In 1920, Percival married Louisa Cooper, born on 11th January 1900 in Eskdale. He became a shunter for the LNER in a goods depot and in 1939 was living in west Street, Yarm with sons Ronald born on 15th February 1922, a labourer at the skin yard and Leslie born 11th June 1923, an apprentice "Lead Burner". They had other children including Margaret D Raper, born in Yarm in 1936 and married Norman R Sayer in 1959. Percival died in March 1985 aged 88 whilst living with Louisa at 39 Newlands Avenue in Norton. Louisa passed away four years later. 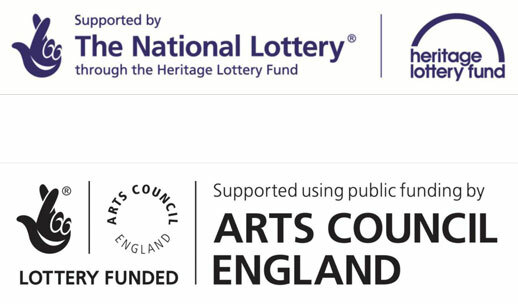 David provided a copy of the following documents. 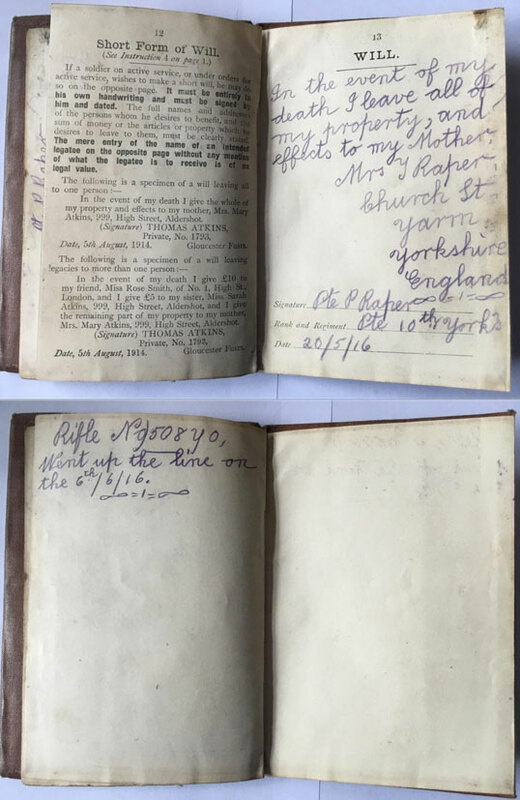 His active service book produced when he first joined, and in the 10th Yorkshire Regiment, includes his will, the date he first went up to the front line and his rifle number which could be used to identify him. 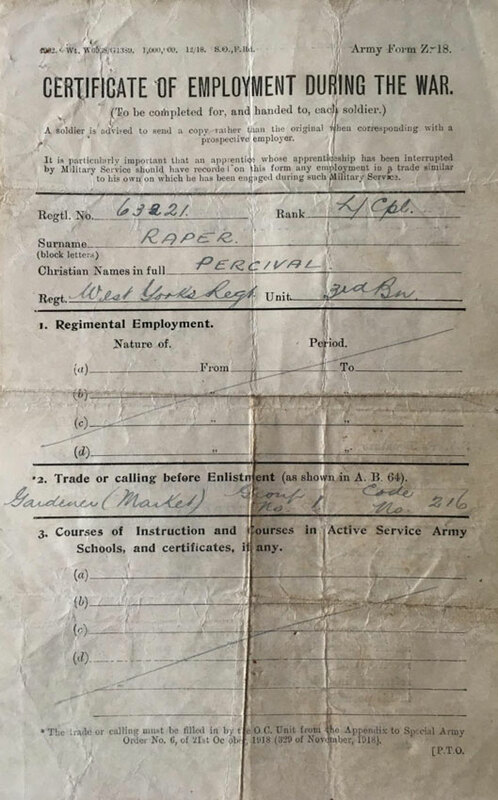 The certificate of employment shows that Percival spent nearly 2 years in total at the front.